Which is best model for your company? Relocation Models for 5 Major Industries – There is more than one way to get your relocating employees to their new assignments. Many companies opt for either a traditional relocation program, a lump sum/managed cap program, or a combination of the two, depending on the position of the transferee and other special circumstances. 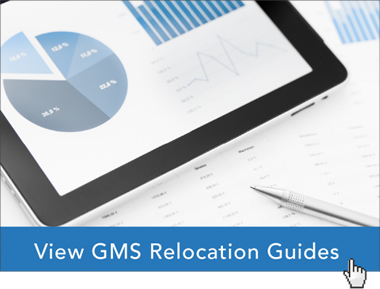 With a lump sum or managed cap model, relocating employees are given a pre-determined amount of money to cover all aspects of their move. From the shipping of goods to temporary housing, the transferees are responsible for researching and obtaining all the services needed to get them to their new destinations. There is no tracking or reporting available to HR or finance departments to let them know whether their relocation policies are too generous, costing the company more money than necessary to relocate their employees, or too limited, forcing transferees to pay out of pocket unnecessarily. This approach leaves the entire move is managed by the transferees, many who might not have any prior moving experience. Conversely, a traditional relocation model is managed by a relocation management company (RMC). The RMC coordinates everything for the transferees. This includes, but is not limited to, home selling, household goods movement, temporary living, and home purchasing. The RMC sets up the various services with reputable, vetted network partners. Since the RMCs use direct billing back to the client companies, the transferees rarely have to open their wallets. HR and finance departments receive detailed expense reports from the RMCs that capture all the costs related to relocating their transferees. 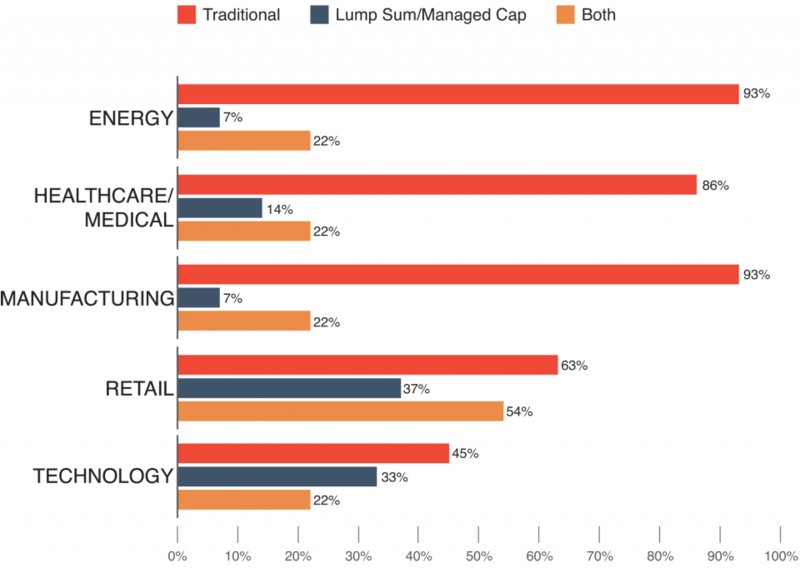 The figures above illustrate that across all the industries in this survey, traditional relocation programs are used more frequently than lump sum or managed cap programs. However, in all the industries, there is a large percentage of companies that utilize a combined approach. A best practice consideration is to adopt a combination of traditional and managed cap relocation models. What are the Top 5 Benefits of Managed Cap Relocation Programs?